A true motto for public works! The week of May 20-26 was National Public Works Week this year, and I invite you to share your stories about how you celebrated. In this year’s proclamation signed by Governor Kate Brown, we are reminded that public works is a cornerstone of civilization, providing, maintaining and improving the structures and services that assure a higher quality of life. In order to grow and prosper, we need to look to our current needs and those of the future, adopting a “now & later perspective.” That perspective also holds true for our organizations, companies and teams. At the City of Eugene we are encouraged to develop and cultivate a “now & later” perspective. I will admit to appropriating our City resources for this quarter’s column. Working on our now & later skills means we are looking beyond our day-to-day challenges of the work to better anticipate the future (next week or five years from now) and adjust to change. This can include developing a better understanding of the “why” of your work, understanding how your work fits into the larger context of the organization, and observing the trends and patterns in your work and the work of your teams. As a team leader, develop a clear vision for the future of your work/team. Make the vision explicit and communicate it to everyone. Develop the vision in collaboration with your team as well as others in the organization. As a team member, consider where you contribute to the future vision and make the necessary adjustments in your behavior to help you and the team realize that vision. Determine and communicate how individual tasks and the work of team members is in service to the vision. Consider team-building exercises/retreats or strategic planning sessions to build a vision and assess team readiness in implementing the vision. Seek out a professional coach or mentor to further develop your leadership skills. APWA can support you to realize some of these suggestions – the Public Works Institute, conferences, luncheons, young professional socials, and other events and trainings can help you develop these leadership skills for now and the future. APWA is also a fantastic opportunity to see future possibilities – learning about industry trends and talking to others about what they are doing, how it is being done and why. 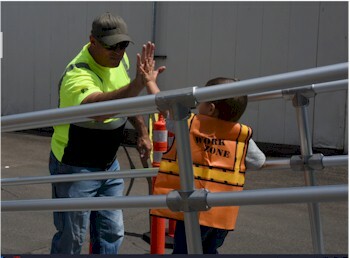 Ending back at Public Works Week, I want to issue a big thank you to John Lewis and Martin Montalvo of Oregon City for organizing the Chapter’s Equipment Roadeo held in conjunction with National Public Works Week! The chapter board was eager to sponsor two public works operators to compete in Kansas City this summer at PWX. In a very short time frame, Oregon City adjusted their Public Works Week celebration to include this event so that we could meet National’s registration schedule. Observing the participants, I saw the APWA spirit of cooperation and leadership. Competitors shared their knowledge and experience with others, were recognized for their skills and had an overall entertaining time. Congratulations to Gordan Chandler from the Crook County Road Department and Steven Graves, Jr. from the City of Gladstone. I look forward to rooting you on in Kansas City! The wagons were circled and the sun was just starting to peek over the rolling hills that shepherd the western end of the Barlow Trail. Just a trace of camp fire and diesel exhaust lingered in the morning air. A few equipment wranglers were rounding up as activity at the trail head got underway. This day would be a test of courage, demonstration of skill, and, in the end, a final judgement. This was no ordinary roundup, folks. Hell no! This was the First Annual Oregon APWA Equipment ROADEO, where seasoned heavy equipment operators from across the state came to compete for the top prize - to represent the State of Oregon in the 2018 APWA National Equipment ROADEO in Kansas City Missouri. 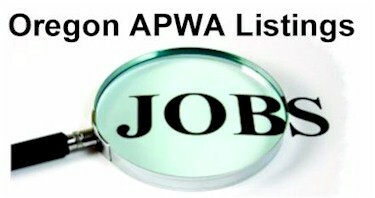 The Oregon APWA Board of Directors felt strongly that the Oregon Chapter should send two representatives to compete at a National level at the 2018 Public Works Expo in Kansas City, Missouri. With that goal in mind the Board also committed a $5,000 budget towards the conference expenses for two equipment operators. With the Oregon rodeo spirit in mind, this first time annual event could be held at no other place than Oregon’s First City, Oregon City. And even more appropriate, the May 23 event was held in the parking lot of the End of the Oregon Trail Interpretive Center. Twenty-seven competitors from 11 different agencies came from as far away as Roseburg and Prineville. 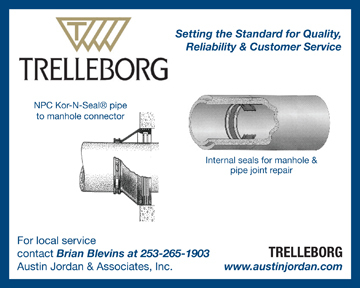 Agencies who nominated their operators for the competition included the cities of Lake Oswego, Bend, Roseburg, West Linn, Tigard, Oregon City, Gladstone, and Eugene; Crook, Lane and Clackamas counties, and Water Environment Services. The competitors participated in three assessment tests: a mini backhoe test, a larger backhoe test, and the dreaded skid steer loader test. A judge and timekeeper evaluated each exercise based on time needed to complete the exercise and the accuracy in which the exercise was accomplished. Operators were asked to navigate tight maneuvering lines with strict deviation limits. Equipment buckets had to be raised and lowered with precision to meet the strict standards established by APWA National ROADEO Committee rules and guidelines. Small whiffle balls had to be carefully pushed and pulled into position. Basketballs needed to be loaded without being dropped, then carried and gently unloaded into a small final target. Safety was incorporated into the evaluations, including requirements for appropriate use of personal protective equipment, seat belts, walk-around inspections, and overall equipment familiarity. Competitors' scores were tallied into to final categories: top Skid Steer Operator and the top Backhoe Operator. The overall winners were determined from the best overall score for all three events. Chandler also placed first in the Backhoe and Mini Hoe Combined, and Bob Skinner of Water Environment Service got top honors in the Skid Steer Competition. Some excellent planning and coordination helped pull the event together. Chapter board member and Oregon City Public Works Director John Lewis offered the Oregon City event as the Chapter event. Special thanks go out to the City of Oregon City with a special acknowledgement to the staff, led by Martin Montalvo, Public Works Operations Manager, who organized and produced the event. The event would not have been a success had it not been for the equipment sponsors and event vendors who participated. Peterson Caterpillar and Sonsray Machinery provided the event equipment which offered both Case and John Deere control options. Ritz Safety, All West Underground, and Traffic Safety Supply were on hand to showcase the latest tools of the trade. The End of the Oregon Trail Interpretive Center, Oregon APWA, and Oregon City all took part in ensuring a great event. Congratulations to the 2018 Oregon APWA Equipment ROADEO top scoring Operators Steven Graves Jr and Gordan Chandler. Both have proven to have the operator skills needed to represent Oregon. Oregon APWP wishes you the best of luck later this August at the National Equipment ROADEO. Being centrally located along the I-5 corridor, Eugene drew attendees from all over the region to the "Making Progess" spring conference, April 2-5. Even though registration opened much later than usual, delegate registrations reached nearly 170, including more than 15 onsite registrations. Three scholarship recipients joined the conference this spring. Other guests of honor included Jill Marilley, National APWA president-elect; and Scott Grayson, National APWA executive director. The exhibit hall at the Eugene Hilton held 50 booths with 99 represenattives. Some last-minute adjustments helped boost traffic to exhibit tables, and we encouraged each delegate to take time to thank at least five exhibitors for their participation, fees and sponorships, which help keep delegate fees as low as possible. Another challenge at the spring conference was last-minute changes to the technical program. 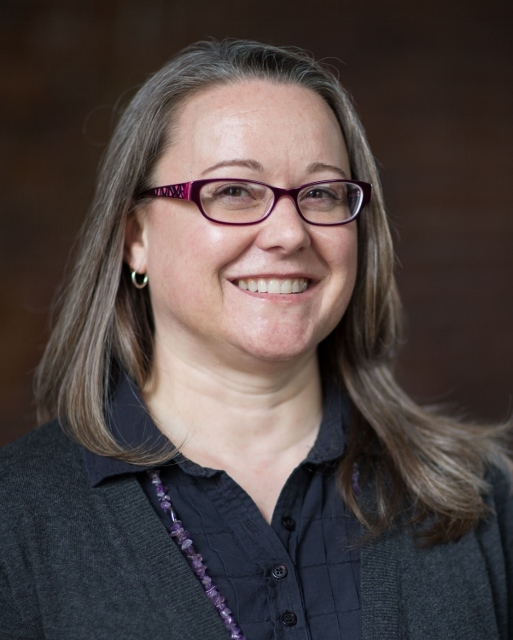 We appreciate the willingness of speakers to donate their time and experience, and sometimes changes needed to be made after conference materials have been printed. Fortunately, the conference staff was able to get the word out through e-mail updates and quick action on a new sign. Thanks to all who provided feedback by taking the conference survey. Although we offered a QR code for access to the online survey, the majority of feedback came through the e-mail link sent out after the conference. All in all, we got a lot of great feedback. And congratulations to Nancy Kraushaar from City of Wilsonville and Lauren Blincoe from City of McMinnville for winning $20 survey drawing prizes. Speaking of winners - how about Dayna Webb, who has a new office mate (Gizmo) until the fall conference in October. Of course, the true value of the Gizmo is its ability to raise funds for scholarships, and it certainly did not disappoint at the spring conference, raising $8,826, plus $1,130 from registration donations, $420 from speaker gifts, $520 for the Dan Boss Scholarship, and $500 for the Past President Scholarship, for a grand total of $11,396. The City of West Linn Public Works Department has been awarded the prestigious APWA Accreditation designation. The accreditation program recognizes public works agencies that go beyond the requirements of the management practices established nationally in the public works industry, as contained in the APWA Public Works Management Practices Manual. West Linn initially applied for Accreditation in March 2017. The West Linn Public Works Department will receive the Accreditation award from APWA President-Elect Jill Marilley at a presentation ceremony during the Council meeting on August 13 at 6 p.m. at West Linn City Hall. The City of West Linn Public Works Department becomes the 139th agency in North America to be awarded Accreditation, and the fourth agency in the State of Oregon. In addition to West Linn, the accredited agencies in Oregon include Bend, Eugene and Albany. For the West Linn review, a team of public works professionals from Victoria, British Columbia; Chesterfield, Missouri; and Kansas City, Missouri, completed a thorough evaluation of operations during their April 2018 site visit. For more information about the West Linn Public Works Department, contact Director Lance Calvert at lcalvert@westlinnoregon.gov or Accreditation Manager Morgan Coffie, mcoffie@westlinnoregon.gov. For more information about APWA Accreditation, please contact Tracy Quintana, APWA Accreditation Manager, at (816) 595-5294 or tquintana@apwa.net. In alignment with the APWA strategic initiative to be the voice of public works, and in response to many chapter requests, the American Public Works Association is proud to announce the creation of a national “Public Works First Responder” symbol. In November 2017, the APWA Board of Directors approved the adoption of the symbol to the right for use throughout North America to identify public works personnel and acknowledge their federally mandated role as first responders. To ensure this symbol has maximum exposure in as many settings as possible—such as on fleet vehicles, license plates, letterhead, hard hats, uniforms, public buildings, and offices—APWA is making the symbol available to all public works agencies in multiple formats. We ask that agencies display the symbol wherever appropriate to raise awareness among all citizens, government officials, and other first responders about the critical role public works plays in emergency management efforts. APWA is very excited to introduce this new symbol and ask that you and your public works agencies adopt and display the symbol. Agencies can obtain free access to the symbol artwork at www.apwa.net/firstresponder, or they may purchase items with the symbol in the APWA Store under the Emergency Management category. Also on the website, you will find APWA’s simple guidelines for use of this symbol, which are to be followed when using it on the web or in all print formats. If you have any questions concerning the use of this symbol, please email David Dancy at ddancy@apwa.net. First and foremost, thank you to the APWA Scholastic Foundation for choosing me for the Merle Langley Scholarship. It will help cover my textbook and tuition fees at Lane Community College here in Eugene. I am currently attending Lane Community College where I am taking prerequisites to transfer to Oregon State University. I hope to earn first my bachelor’s degree in civil engineering and then my master's in water resources engineering. I am passionate about watershed hydrology, green stormwater infrastructure, and water sustainability. When not studying, I enjoy playing the piano, exploring the National Parks, and traveling. The Oregon Chapter of APWA is requesting technical session presentations for the 2018 fall conference, taking place October 15-18 in Canyonville, Oregon. Abstracts and presenter information are due June 25, 2018. July 17, 2018: Chapter Financial Audit. Annual review of the chapter’s financial records in Wilsonville. Contact Jenifer.m.willer@ci.eugene.or.us if you are interested in being on the audit committee. Know of another event? 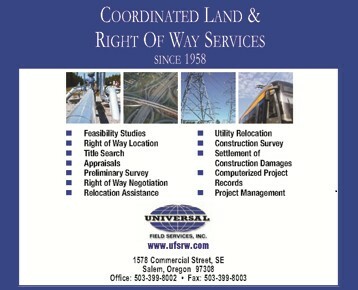 Contact us at oregonapwa@gmail.com. Oregon’s APWA YP Committee recently arranged a young professionals social in collaboration with AWWA, and PNCWA local chapters. The event provided a great opportunity for local young professionals and students to meet each other face to face, when previous meetings were purely over the phone and through permitting processes. Pictured from left: Kysa Schaefer of Murray Smith, Maryna Feldberg of Murray Smith, and Kristi Steiner of Clean Water Services. 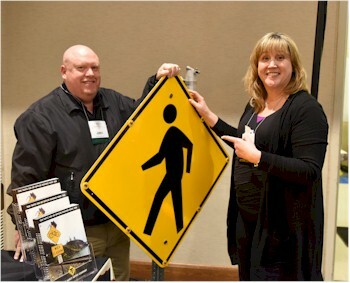 APWA-Oregon doesn’t exist or function without its awesome volunteers. Want to get involved? Or check out the Committee Central webpage for a list of all committees and committee chairs. Please contact them if you are interested in volunteering.